See how it works and discuss your needs with our experts. 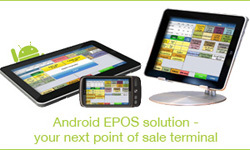 It is a mobile, easy to install and inexpensive EPOS ideal for any business and in particular where there is a limited amount of space or a need for a mobile solution. Add AlfaRichi stand to your «must see» list.